The 17th season of the Porsche Carrera Cup GB, the fastest single marque GT racing championship in the UK, got off to a flying start during its opening weekend at Brands Hatch. 18-year-old Porsche GB 2018 / 2019 Junior Dan Harper (JTR) established himself as the driver to beat in 2019, securing a commanding pole position for the season’s opening race in changeable conditions, before converting into into a lights to flag victory in similarly tricky conditions. A podium finish in race two further underlined Harper as a title contender and leaves him heading to Donington Park – scene of his first Porsche podium – with an early three point championship lead. Next amongst a grid of experienced returnees and competitive newcomers is Lewis Plato (Motorbase Performance). After securing two second place finishes at Brands Hatch, the Essex-based driver currently sits second in the Pro category standings. The former JTR driver, now in his fourth season, has adapted well to his new team, showing good pace throughout the championship’s opening weekend. Always a commanding racer, Plato showed his experience when he successfully fended off Harper in the latter stages of round two. 12 months after scoring his first win, Plato will be pushing for a repeat in 2019. Last season’s Rookie champion George Gamble (Amigos Redline Racing) added to his tally of three previous Porsche Carrera Cup GB career wins at Brands Hatch, taking overall victory in race two. Starting from a reverse grid pole, Gamble got off the line well and resisted the advances of the chasing pack to take his first win of 2019. Gamble’s teammate Seb Perez (Amigos Redline Racing) is the reigning 2018 Pro-Am category champion, and has got his 2019 Pro category campaign off to an impressive start. A podium result in round one and fourth place in round two mean Perez sits just three points behind Gamble in the overall points table. One of a number of exciting newcomers, Rookie Tom Roche (Rob Boston Racing) graduates from the Ginetta GT4 Supercup for 2019. The Welshman, together with this impressive new team, grew in confidence and pace throughout each session at Brands Hatch, and the combination will doubtless continue to adapt to racing in the Porsche Carrera Cup GB during the Donington Park weekend. Championship returnee Dan Vaughan (Motorbase Performance) graduates from the Pro-Am championship for 2019 and endured a difficult opening weekend in Kent, recording a seventh place finish in round one and a retirement in round two. However, the 22-year old has the pace to bounce back in style next time out. In the Pro-Am category, returnee Karl Leonard (Team Parker Racing) has already impressed by securing two category race wins – finishing fifth overall in both races. At one point, Leonard had raced at least once in ten consecutive seasons of Carrera Cup GB, has notched up almost 50 Carrera Cup GB races, and with his expert knowledge of the racing 911 is especially at home in tricky conditions. Chasing Leonard is returnee Jamie Orton (JTR), who currently sits four points adrift of the Irishman in the Pro-Am category standings. Orton finished fourth in category in race one at Brands Hatch, second in race two, and will be hoping to add to his 2018 tally of five Pro-Am category victories when he arrives at Donington Park. 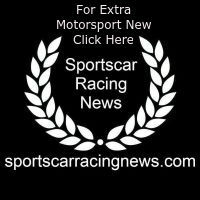 Esmee Hawkey (GT Marques) is embarking on a demanding dual racing campaign in 2019, competing in the newly established Formula W Series alongside her attack on the Porsche Carrera Cup GB championship. Hawkey finished second in the Pro-Am category in round one, fourth in round two, and currently sits just two points behind Orton in the category standings. Promising newcomer Jack McCarthy (Redline Racing) made a solid start to his Porsche Carrera Cup GB career at his local circuit, Brands Hatch. The Rookie achieved two category podium finishes in his maiden weekend of Porsche racing and lies just two points behind Hawkey. As his learning curve continues, McCarthy will want to gain further momentum in rounds three and four, while he heads to Donington in the lead of the Rookie championship by eight points. 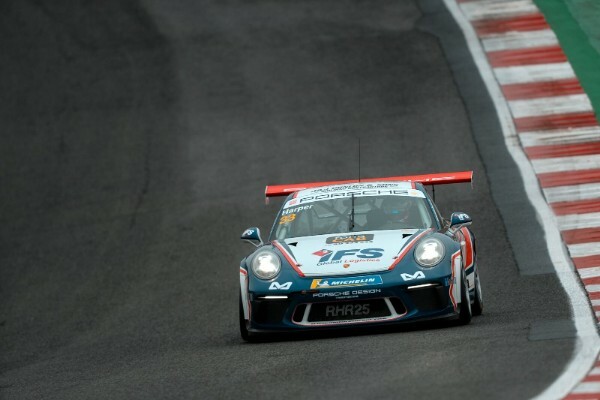 In the Am category, experienced Porsche racer Justin Sherwood (Team Parker Racing) made an impressive start to his Am campaign after securing two podium finishes – one of them a win – during the championship’s opening weekend. On both occasions Sherwood shared the podium with defending category champion Peter Mangion (Team Parker Racing), who claimed category victory in round one and second place in round two. Sherwood and Mangion may have established a close rivalry at Brands Hatch, but the Am category will certainly not be a two horse race in 2019. Returnee Peter Kyle-Henney (IN2 Racing) produced a titanic battle with Mangion for the 2018 Am title, and is sure to feature heavily in the championship fight throughout 2019. Championship newcomer, and former GT3 Cup challenger, John Ferguson (IN2 Racing) started round one in a spectacular third position overall after mastering slippery conditions in qualifying. The Rookie went on to finish third in category. Twice a category podium finisher in 2018, former BTCC driver and Porsche Carrera Cup GB returnee Richard Hawken (Slidesports Engineering) recorded a fourth place finish in round two and will undoubtedly be hungry to revisit the podium in 2019 after visiting it twive in 2018.. Am category Rookie Adam Knight (Valluga Racing) is a former endurance racing specialist who adapted immediately to sprint racing during the championship’s opening weekend. The 45-year-old Rookie will continue to find pace as his experience builds, leaving him well placed to spring a surprise at Donington. A number of the ‘class of 2019’ tested their second-generation ‘Type 991’ 911 GT3 Cup cars at Donington Park during official pre-season testing on 19 March. However, the fast and flowing nature of the circuit – where long straights facilitate overtaking – is sure to make predicting the eventual outcome difficult. Lewis Plato will be hoping that revisiting the scene of his first victory in the Porsche Carrera Cup GB – secured in 2018 – gives him an advantage. However, in winter testing at Donington Park it was Porsche Junior Dan Harper who recorded the fastest overall lap time.